Cora Staunton carved a niche for herself in the history of the AFLW today when becoming the first international recruit to kick a goal. 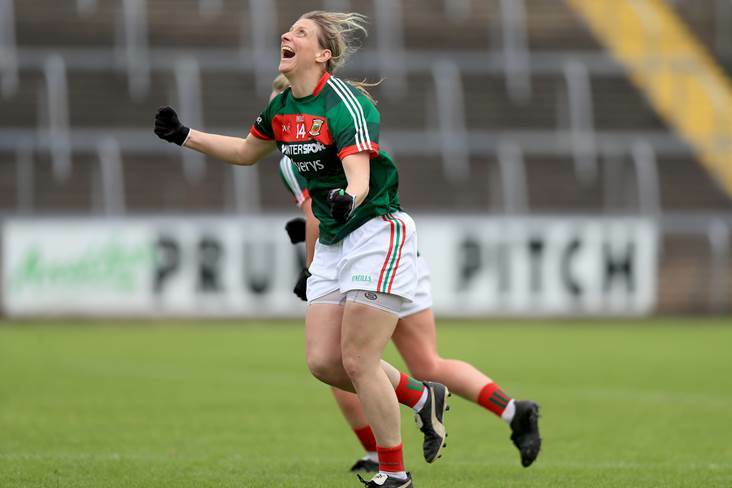 The round 1 encounter didn't go according to plan for the Mayo ace and her Giants team-mates after Melbourne, who included Cavan's Laura Corrigan Duryea in their line-up, snatched a win with a late goal at Casey Fields but the Mayo ace continues to make a big impression in the oval ball code. Afterwards, the 36-year-old's coach Alan McConnell told gwsgiants.com.au: "I think she got lost a couple of times on running patterns, but it's not surprising when you're trying to learn the game in eight weeks. "She hasn't had a full pre-season, she missed the first two weeks because her team went all the way through to an All-Ireland final. "But we're so glad we have her. She brings something to the team. When you have a list that has 14 new players on it, you need a level of maturity to bring them together and they play as a team and I'm really proud of them."